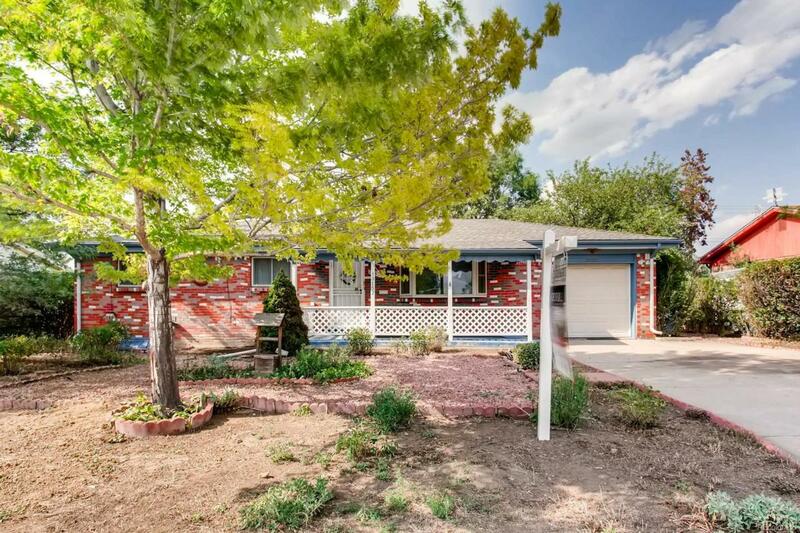 Spacious ranch nestled on a large lot in a great neighborhood of Aurora! Step onto the charming front porch and into a light and bright living room. The efficiently laid out, well-equipped kitchen overlooks a lovely dining area and an inviting sunroom with beautiful, natural light. This 3 bedroom, 2 bathroom home has so much to offer, including a large, finished basement with a cozy fireplace, an attached garage, and a storage shed. The oversized, fenced-in yard has enormous potential for building an idyllic outdoor entertaining space and garden. Ready for your personal touch! Don't miss out on this great opportunity!